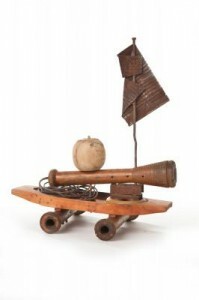 Dale is known for her amazing assemblage pieces which give personality and expression to everyday found objects. Her pieces are part 3D collage and part sculpture. They celebrate the character of individual materials by bringing them together in a work of art that shows them in a new and beautiful light. Come see Dale\’s fun and inspiring work in her studio on the lower level. Live music will be performed upstairs by Chapter II, an alternative rock/acoustic band with members from Ashland High School, and downstairs by Thad Jacobson on solo banjo. This month’s special First Friday show in the Classroom is Art Honor Society Club at AHS. Highlighting artists and photographers from all grades at Ashland High School, this show was created in order to develop support for a new club at AHS: an Ashland chapter of The National Arts Honor Society, a program dedicated to inspire and recognize students who have shown an outstanding ability and interest in art. This show is curated by AHS senior William Crowley.